Use With Jumbo Plastic Shopping Baskets to Create a Customer Friendly Shopping Helper! 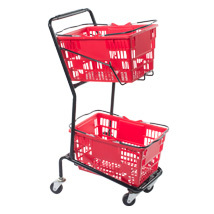 Black Frame Double Basket Carts make it easier for your customers to shop and buy more. 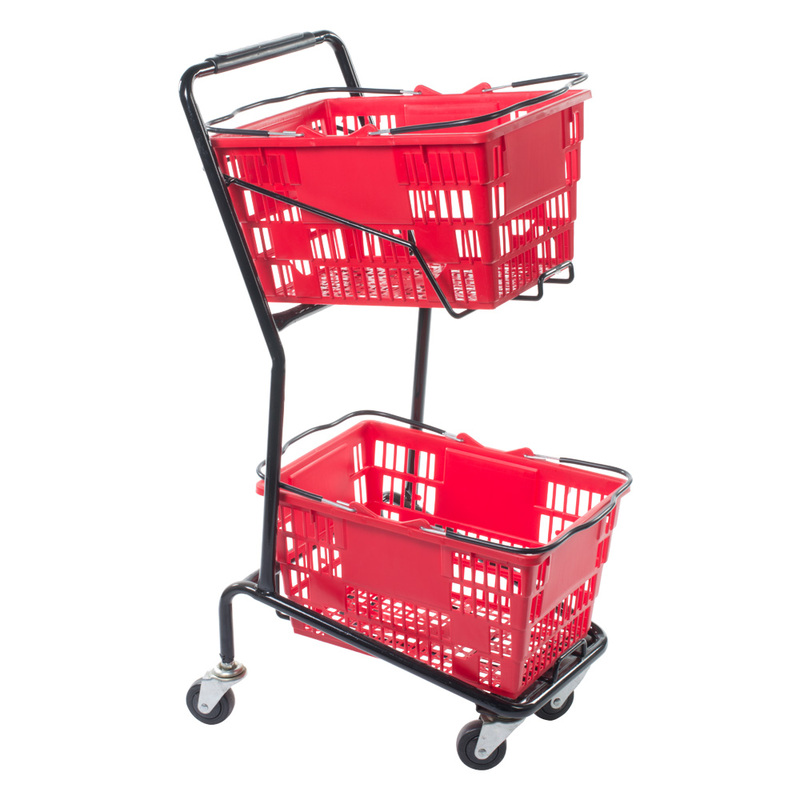 This basket cart holds 2 jumbo size plastic shopping baskets(sold separately). Includes 2 swivel casters and 2 fixed casters for easy maneuvering. Browsing Hand Basket Carts nest when not in use so takes up little space in your store. Jumbo Baskets sold separately, available in red plastic (Item 8627)and blue plastic (Item 8627). For additional shopping cart offerings, we invite you to take the time to check out our complete collection of shopping carts and shopping baskets at Specialty Store Services now.